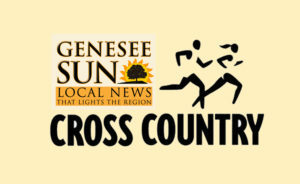 ELSAH, ILL – The SUNY Geneseo Cross Country Teams competed at the NCAA Division 3 National Championship race this weekend, turning in impressive performances on both sides. The teams battled the best in the nation, the Men coming out with an 11th place finish, the Women 6th. The Men’s team was up first, with Issac Garcia-Cassani leading the Knights with a sixth place finish overall. He was followed by Connor Pulvidente in 62nd. The Top 5 was rounded out by Sean McAneny, Alex Burks, and Matt Jorgenson, coming in 123rd, 124th, and 125th place respectively. The Women were up next, led by Kristen Homeyer, who finished in 32nd place. She was followed by Elise Ramirez (46), Allie Fernandez (104), Dana Cebulski (114), and Genny Corcoran (127). The teams will now move on to the Indoor Track season. Make sure to stay tuned for those results as they come! Great job to all Coaches, and Athletes on a spectacular season!